$54 - SnapperRock and their spring 2018 collection is prepared to help her make the most out of her beach day fun. 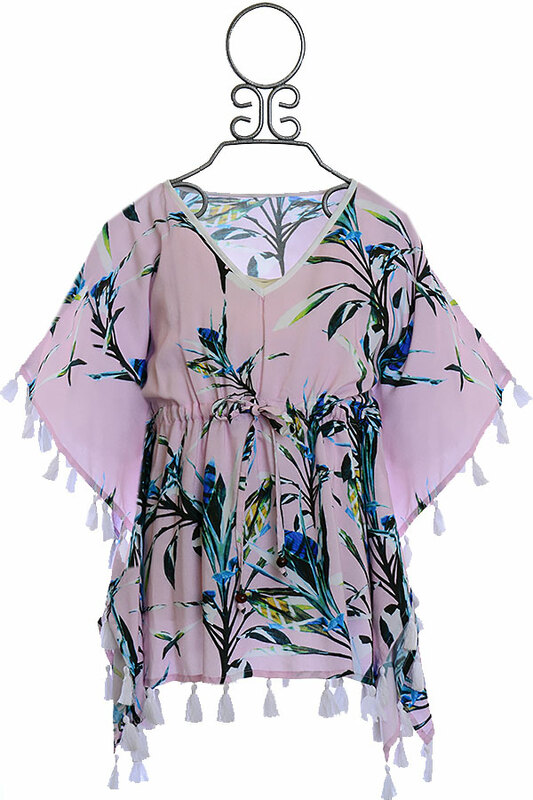 The kaftan has a comfortable and casual fit. The light pink is dressed with tropical palm leaves. The neckline is V shaped. White tassels dance from the hemline. Her drawstring waist is cinched for her comfort and finished with a bow. Matching swimwear is found in this same pattern, keeping her outfit on point.